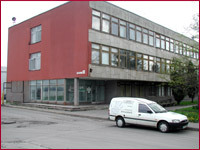 Company "Suvena" was founded in Panevezys in 1992. The main activity of the manufactory is the production of handmade ceramic souvenirs. In 1994 we started to export the first manufactured articles- ceramic houses-candlesticks to the USA , Canada and Germany . The company, which has been successfully working for the second decade, nowadays offers the market over 400 various handmade ceramic articles of high quality. 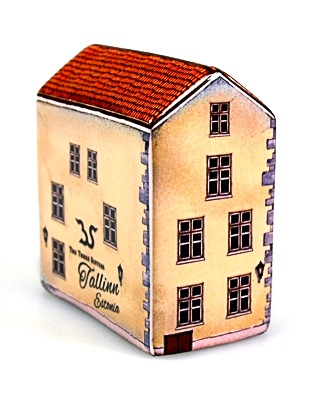 The company produces handmade ceramic houses-candlesticks where aroma oils can be used, magnets with various city buildings and other motifs, lighthouses, mugs, incense burners, bells and other handmade ceramic souvenirs. Since 2000 our goods have been marked with the original stamp of the company. Today the production of "Suvena" is well-known not only in Lithuania but on international market as well. Our company employs 28 workers, most of whom are experienced masters. The greater part of the production is exported to various countries of the world.